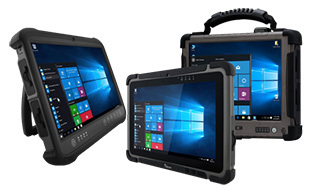 Winmate’s Panel PCs and Rugged Tablet PCs are Now Compatible with Microsoft’s Latest Windows 10 IoT Enterprise. 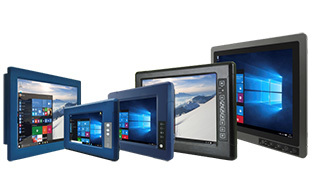 Winmate is pleased to announce that our Tablet PC and Panel PC product series are now compatible with Windows 10 IoT Enterprise. 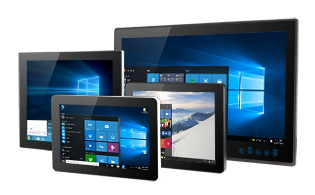 General improvements have Windows 10 and Internet of Things (IoT) off to a great start. As Microsoft continues to push forward with Azure cloud-based services, we see progress in both usability and security. Input filters, which intercept key strokes that could lead to unpredictable or unwanted results. AppLocker and layout control, as well as shell and app Launchers. Both of which prevent interface changes. Write filters and overlays to insure nothing is written to or updated that shouldn’t be. USB Filter controls to prevent the unauthorized use of USB keys and drives. Dialog and notification filters can be used to suppress pop-ups which might interrupt operations. 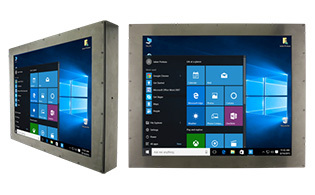 Other improvements over legacy embedded systems include shell launchers and custom shells which allow for much more customized applications that no longer look like Microsoft Windows software. This added flexibility can be very good for customized products and services. Also, the Unified Write Filter removes the confusion created when trying to figure out which of the various write filters was to be used in prior versions of Windows. Virtual desktop/task view/multiple desktop, which Apple has had for years, is another nice features more akin to general Windows 10 features and many are available for IoT applications. While we fully support migration to Windows 10 IoT Enterprise, the implications of the Universal Application platform need to be noted and understood. For example, IoT Core doesn’t support Win32 apps, which means limited backward compatibility. However, there are readily available migration tools, and many Win32 and .Net APIs are actually available in IoT core. 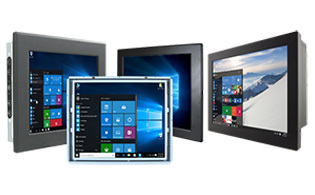 It will be important to educate users on how the various versions of Windows 10 IoT compare to the various older versions of embedded Windows such as WES7, Windows Embedded, WEHH, and Windows CE as this is not completely clear to all users. It’s important to understand how all of the Windows 10 IoT versions relate to Azure. IoT is by definition cloud-centric at the highest level and Microsoft is certain to push its Azure Cloud services. There’s of course much more to be said. While Windows 10 is off to a good start (good enough for us to finally upgrade all remaining Windows 7 systems to Windows 10), it’s not totally clear yet how well Microsoft’s qualified one-Windows-for-all approach will work or if it was a wise move to replace “embedded” with “IoT” across the board or whether the somewhat awkward term “IoT” will actually stick (most non-techies and many techies have never even heard of “IoT” as of now). 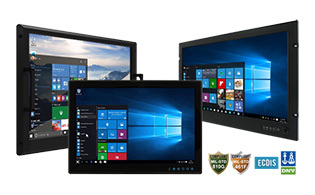 There are growing pains with all new technology but the advances are often worth it and we would say that is the case with Windows 10 IoT.